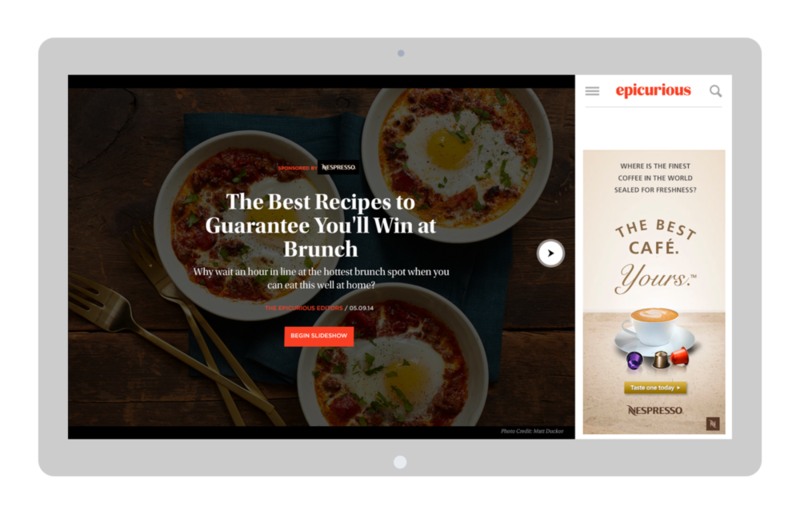 Epicurious.com is one of the most popular food websites in the United States. The site redesign concept is to build a new brand identity, which focuses on the latest food trends. Slideshow is the place illustrating Epicurious best food photography to create an immersive food experience for users. 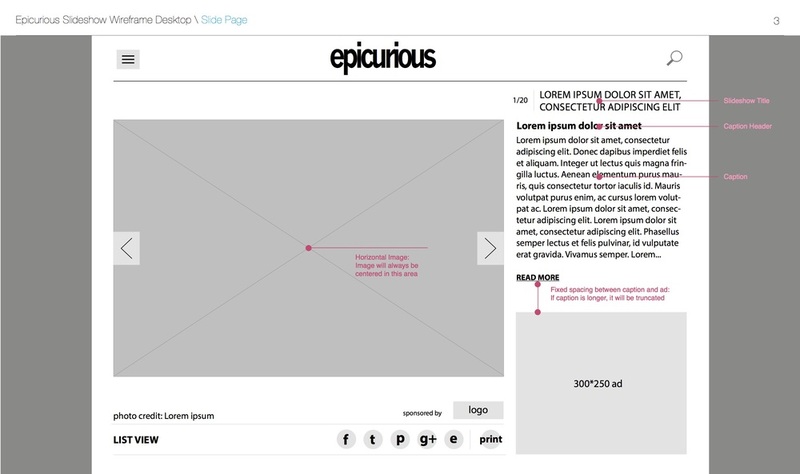 The responsive image-driven layout presents the best browsing experience across devices. On mobile, the slideshow is presented in a list view, which better fits user's native scrolling behavior.